Remember the first time you played a SimCity game? For the first hour or two you may have been utterly captivated by the title’s accessible yet surprisingly robust city management systems, but the odds are that it took very little time before you decided to take a wrecking ball to your nascent metropolis. Not out of spite, but simply because blowing stuff up is endlessly entertaining, particularly when the opportunity for destruction presents itself as a swarm of angry UFOs, or a familiar (yet legally distinct) Godzilla doppelganger. 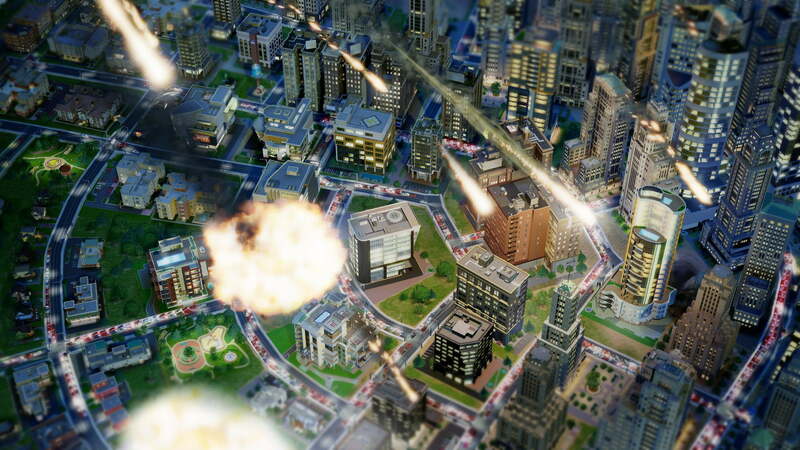 When EA announced the upcoming SimCity, it came prepared to counter doubts about the new title. You might recall a minor controversy stemming from SimCity’s need for constant access to the Internet. Fans are still a bit miffed about that one, but EA has gone on record to explain why this is both necessary and beneficial to players. That kind of transparency is appreciated, but it does nothing to answer the question of where the franchise’s awesome cheat codes have gone. It makes sense that EA would want to disable these sorts of boosts in a game that, due to its always-online nature, is nearly akin to a massively multiplayer online roleplaying game as far as EA’s attempts to police the SimCity community are concerned. The firm simply can’t allow players to have access to such a huge advantage, but EA wouldn’t dare strip out all of SimCity’s cheats, would it? For those as worried as we are, Maxis’ lead gameplay scripter Guillaume Pierre offers a panacea. In a newly-published blog post, Pierre details the game’s “Sandbox Mode,” which he describes as “a gentler version of SimCity.” According to Pierre, when starting a new city in Sandbox Mode, players are granted “a truck-load of Simoleons” (the series’ in-game currency), the ability to pull in more cash at the touch of a button, and the power to individually turn off what Pierre calls “pushback” systems. To put it simply, this allows players to negate a large number of the game’s standard features. While a Sandbox Mode city will initially function like any other SimCity creation, if you decide you’d rather not worry about fires breaking out you can simply turn them off. Likewise, you can do the same for any of those natural disasters we mentioned above. Unfortunately, Pierre offers no word on whether or not players will be able to spawn disasters on a whim. There’s no denial that this feature might be included in SimCity’s Sandbox Mode, but nor is there a confirmation. Pierre just skips over the topic despite how cleanly it would fit into what he’s talking about. We contacted both EA and Maxis to see if we could get official word on whether or not players will be able to summon meteor showers in SimCity and were met with what we’d officially describe as a boilerplate “no comment.” Unofficially, representatives made it seem that those particular cheats would be featured in the game, but neither they nor we can officially confirm that just yet. They’re probably in there, but don’t hold your breath. If the above has piqued your interest in SimCity, you should know that a beta test for the game will commence on January 25. You’ll find full details on the test and how to enroll in this piece we published recently, along with an explanation of why you might want to skip this test in favor of waiting for the full game’s retail debut on March 5. And for a closer look at the game, check out our recent hand-on preview.